TowStop - Never get towed away! You decide to quickly buy something at the grocery store, deliver something to an administrative office – and completely forget that the spot you chose to park your car is located in a no-parking zone. Then you return to your car and the first thing you see is a service car towing it away. Before this becomes exceedingly expensive for you, you should try the TOWSTOP – an interesting, inexpensive and effective solution for your problem! Please register for our newsletter or follow us onFacebook or Twitter. It’s very simple: You attach the TOWSTOP on the inside of your front shield. In case you simply forget that you entered a no-parking zone with your car – and who has never done this, considering the amount of signs in busy areas? – you will now have the TOWSTOP to help you out: If the police decides to stop by in this very moment they simply have to touch your front shield. 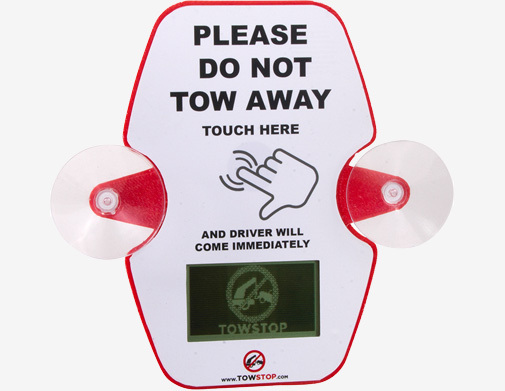 Your TOWSTOP will instantly call you on your cellphone and you can react accordingly. This way you will not have to worry about the high cost that comes with a service car. But will the police actually use the TowStop? Yes! The police is obligated by law to choose the method that is cheapest for the owner of the car. Compared to towing away your car, simply calling you on your cellphone is obviously the more inexpensive solution. If the police does not want to break the law they will have to use the TOWSTOP. Start saving money even after just one single use! 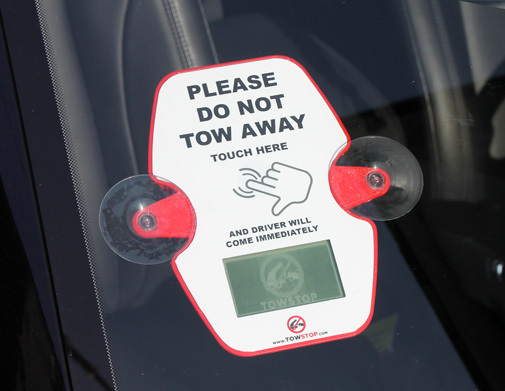 You can set the TOWSTOP up in just a few moments and the total cost for the device is approximately 10 % of the total cost of towing your car. 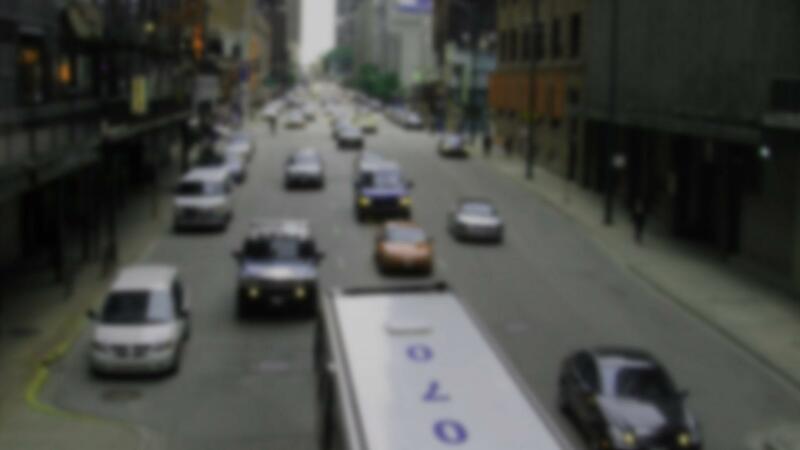 Especially if you have business downtown in busy areas the TOWSTOP will be the right choice to avoid situations that would otherwise surely lead to losing your car for the rest of the day – and your money, of course. 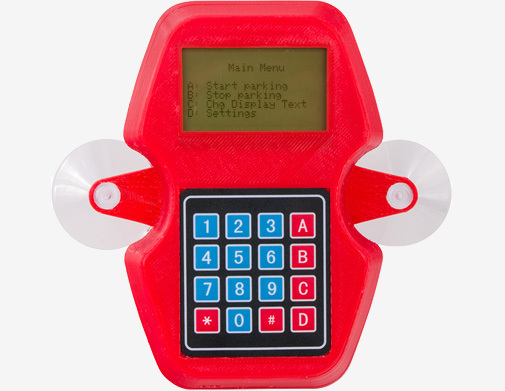 Works with every cellphone and even landline connections! The only thing you need is a working telephone number that the TowStop can use to call you. Get the latest news about the TOWSTOP!